An unknown actress with a troubled past catches the attention of the capricious owner of a legendary New York theatre. Starring opposite himself, he casts her in the role of her dreams. As reality and fiction start to blur, the two begin a dangerous offstage affair. And as opening night draws nearer, she’ll have to fight to keep her life from spinning completely out of control. KELSEY ANN is an actor and writer in Brooklyn, New York. Raised in Fort Myers, Florida, she began performing at an early age, appearing in shows such as The Bad Seed (Florida Repertory Theatre) and Inherit the Wind (FRT). An accomplished gymnast and ballet dancer, she attended Idyllwild Arts Academy and is an alumnus of the Broadway Theatre Project, where she studied with Ben Vereen and Ann Reinking. She holds her BFA in acting from the Theatre School at DePaul University, where she was a recipient of the Drama League Scholarship. Theatre credits include: This Is Modern Art (Steppenwolf Theatre Company), The Retreat (a solo show at The Hive NYC), Not a Criminal (The Drama League), Resistance (The Tank Theatre) and At The Center (Chicago Dramatists). Writing Credits include You Are Invited (Short) and Lola (Short). The Den is her first feature screenplay. NATHAN SIMPSON is an actor and writer in New York City. Raised in Kansas City, Kansas, he received his BFA in acting from the Theatre School at DePaul University in Chicago. Most recently, he appeared in the Goodman Theatre's production of Blind Date, directed by Robert Falls. 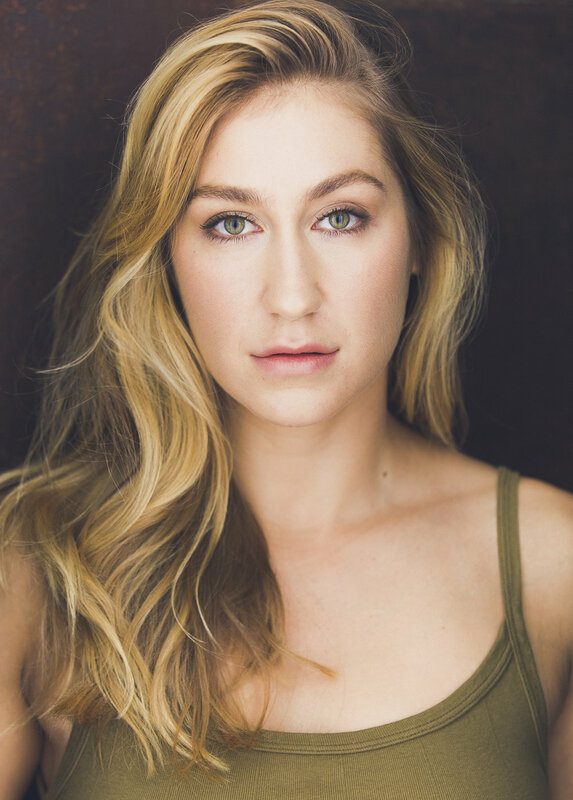 NY credits include She's Totally Dead (13th St. Rep), The Dungeon (Medicine Show Theatre), The Western Male (United Solo), and Brothers (Manhattan Rep). Writing credits include Good Intentions (Web Series), Doughnuts (Short) and Daisy's Painting (Short). He is a recipient of the Sarah Siddons scholarship and an alumnus of the British American Drama Academy's Midsummer in Oxford program, where he studied Shakespeare with John Barton, Fiona Shaw, and Peter Francis James. The Den is his first feature screenplay.